Can it really be time to celebrate 10 years since the first Sensoria festival in Sheffield? As the eclectic festival returns once more to bring the best of music and film to the Steel City, music blogger Mark Perkins picks his top events not to be missed this year. When it comes to this time of year, I know that every night for a just over a week will be blocked off in the calendar and devoted to experiencing some unique and fascinating events connected to the world of film and sound in unlikely venues. And every year, the events I don’t really know much about turn out to be the most remarkable. So as the full Sensoria 2017 has been announced, I thought it was only fair to try to steer you along to some of the events that might be overlooked, but may well end up being the events you’ll remember the most. My first choice is a ‘miss this and you’ll regret it’ showing of the blues documentary, Two Trains Runnin’, which is followed by a performance by Benjamin Bassford. He plays acoustic blues, very much in keeping with the theme of the film, which is about the rediscovery of authentic blues in Sixties America. The film had its UK premiere at DocFest in 2016 and was shown to enormous acclaim. This will be the first UK screening since then, so is another opportunity to see this stunning film for anyone who missed it. After all, documentaries are the new rock n roll – music documentaries even more so – and this one is a stunner. It’s powerful, relevant and tells a story that is both moving and disturbing, but most of all, totally absorbing. Its narrative centres round an innocent, almost naive, quest to find clues to the forgotten origins of American blues music, which led to a weekend of shocking events no-one could have foreseen. October 2nd , 7pm-10pm, University of Sheffield Drama Studio. Another hidden gem I spotted is the film The Moomins and The Comet. If you were a child in the early 80’s, or watched kids’ TV, you may well remember the Moomins as an animated TV show from Finland, memorably voiced by that old stalwart of the radio, Richard Murdock. The charming music for the UK version of the show was provided by Graeme Miller, and he’s returning for a live performance of his soundtrack to the feature film spin-off. 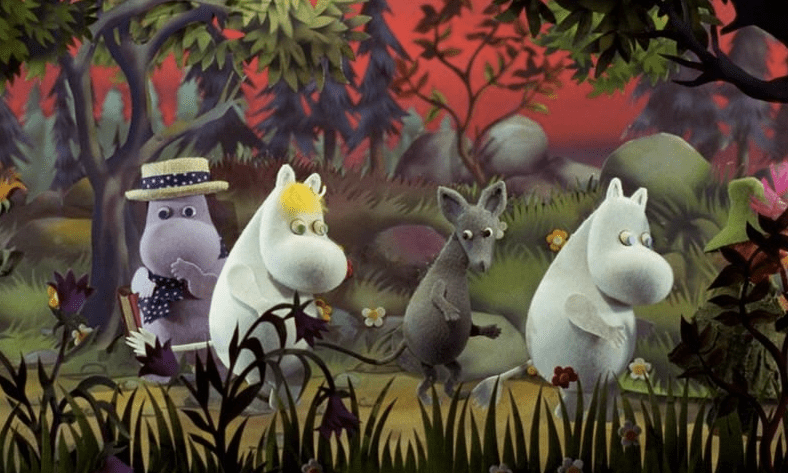 The Moomins might be scarcely remembered here, but around the rest of world they have proved one of Finland’s most successful exports, especially in Japan. This live show will be a warm and fuzzy evening of children’s animation which will appeal to a much wider audience. October 3rd, 6.30 – 7.40pm, The Drama Studio. 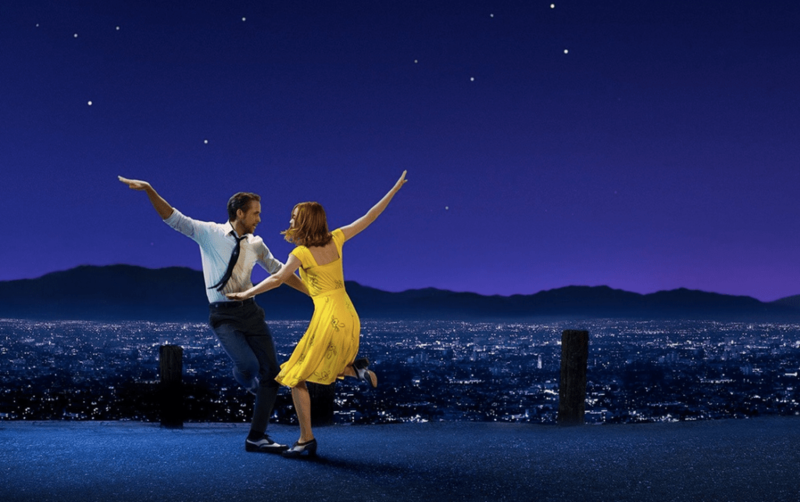 Fans of the film La La Land won’t want to miss the open air screening in Sheffield’s marvellous hill-side amphitheatre overlooking the train station. This is becoming a more frequently used site for screenings, and, as long as you wrap up warm, there really is nothing like watching a film whilst the sun sets behind the Sheffield skyline. September 30th, 6.30 – 9.45pm, South Street Amphitheatre. 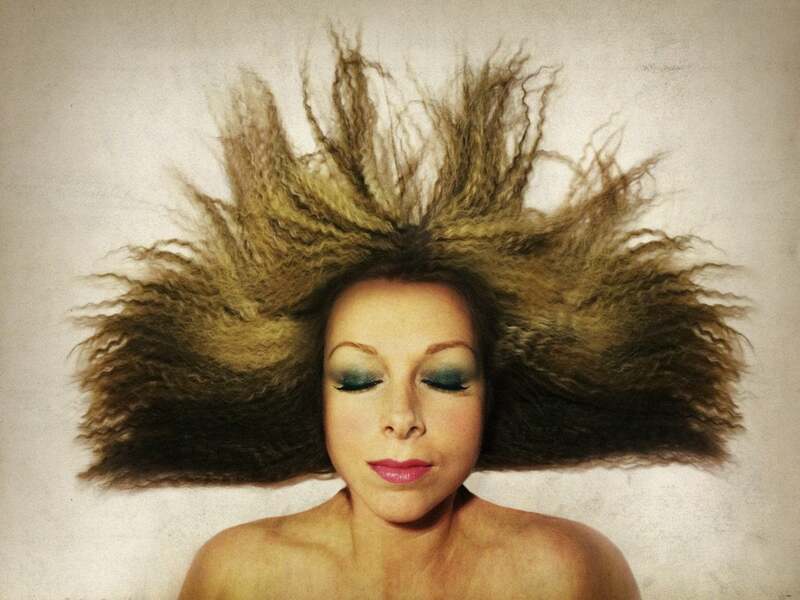 If you prefer your entertainment in a more cosy environment, Trafalgar House will suit you perfectly for the opening night gig with Jane Weaver. She’s been in two highly acclaimed bands, Kill Laura and Misty Dixon, and has also produced a series of solo albums to build from a cult following into a much wider fan base. This will be a really special gig and I can’t wait. September 30th, 8.00-11.00pm, University of Sheffield Drama Studio. Live film soundtracks are the bread and butter of Sensoria, and here’s the latest one. Factory Floor have performed at Sensoria before, and for their welcome return they’ve brought along our old friend Flitz Lang’s classic film Metropolis. It’s a film that simply never grows old, but with a new soundtrack, it’s likely to take on a whole new lease of life when they play the northern premiere of their live score to this sci-fi classic. If you think you’ve seen the film before, take note. 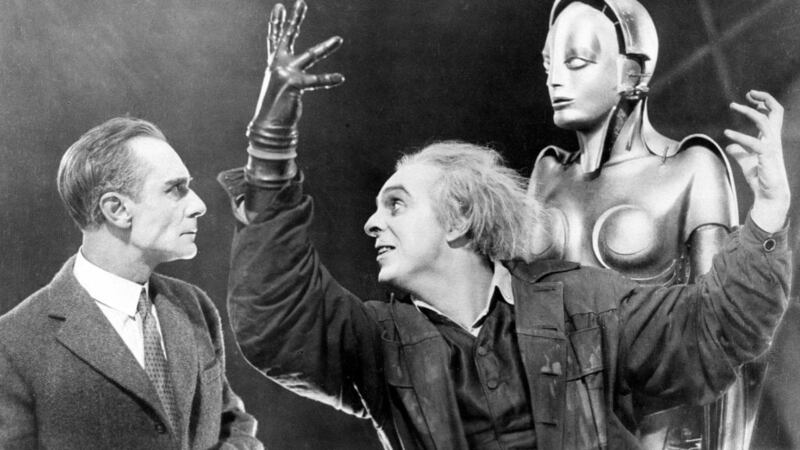 For years the only surviving version of the film was a brutally edited one, but gradually more and more original footage has been found, and the film is now closer to the original than it has ever been. October 1st, 4.30 – 8.00pm, Magna Face of Steel. 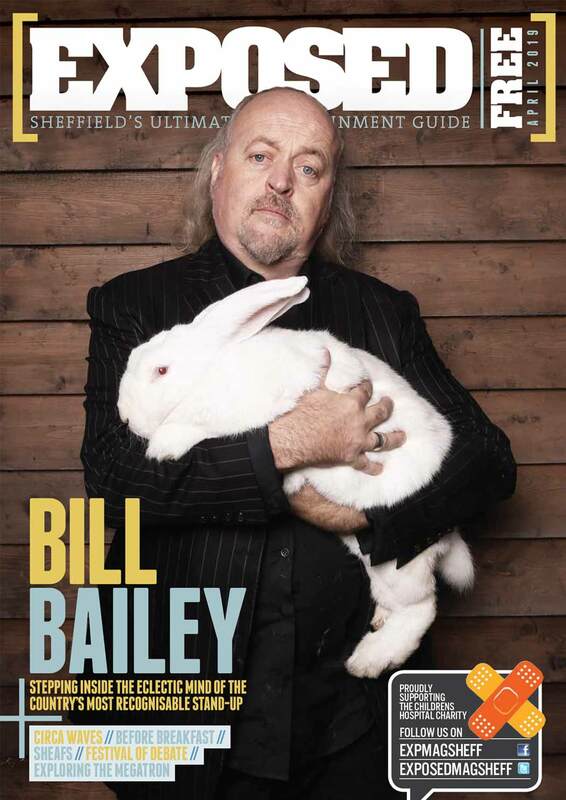 There’s obviously nowhere more appropriate than Sheffield to celebrate the world of electronic music. From The Human League and Heaven 17, on through Wavestar and the Cabs, and the founding of Warp Records on Division Street, we are undeniably the place it all started. It’s not surprising then that Synthfest UK is back here for a second year. If you’ve ever fancied having a go on some of the latest synthesisers, or just marvelling at the invention of some of the smaller manufacturers of these instruments, Synthfest is in the Octagon all day on the 7th October. And to round off the celebrations, Sensoria are putting on a special performance by the Radiophonic Workshop, who were once shrouded in mystery, but are now a performing band. October 7th, 10.30am – 6.30pm, The Octagon Centre. Richard Hawley: "3 Ring Circus is utterly terrifying"